DONALD Trump has vowed to Kim Jong-un that they will solve a "big dilemma" together. After their private meeting, the leaders moved to a larger discussion with their advisers and interpreters present, including Secretary of State Mike Pompeo, national security adviser John Bolton, White House chief of staff John Kelly and an interpreter. "It's a great honor to be with you, and I know we'll have tremendous success together," Mr Trump told the North Korean leader across the table. "We'll solve the big problem, the big dilemma, that until this point has been unable to be solved. "We will be successful. And I look forward to working on it with you. It will be done." It's likely Mr Trump was referring to the need to denuclearise the Korean peninsula. More details of this exchange are expected when he addresses the media at 6pm (AEST). Press have now left the room and an expanded working lunch will get under way. TRUMP has described the meeting as "tremendously successful", with the pair now seated together in front of the media. "We will have a terrific relationship, I have no doubt," the US president said. "The old prejudices and practices worked as obstacles on our way forward, but we overcame all of them and we are here today," added Mr Kim. The body language between the pair has been notably warm. They exchanged another handshake and touched each other on the arm. Both leaders have been smiling openly. 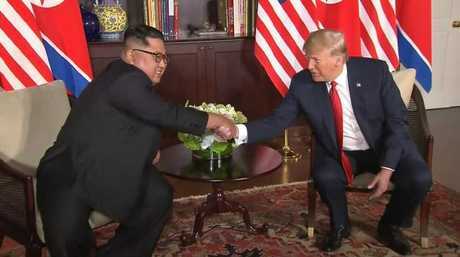 IN A historic moment, Donald Trump and Kim Jong-un have met face-to-face for the first time. 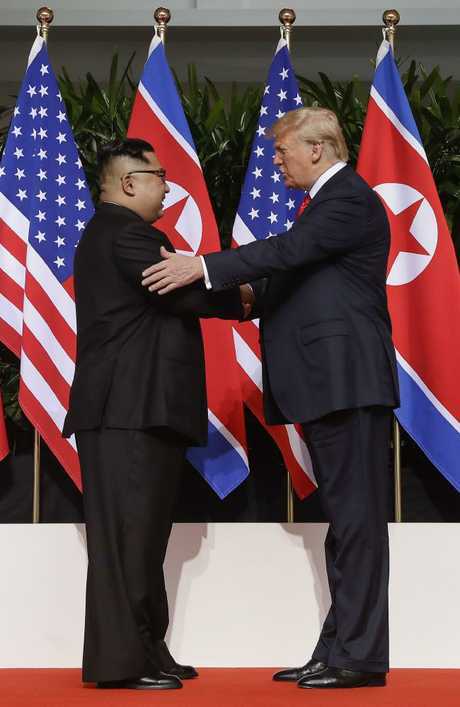 Appearing before the media in front of the American and North Korean flags at the Capella Hotel in Singapore, the pair shook hands and briefly exchanged words before turning towards the camera without smiling. They then shook hands again and walked offstage together. The leaders are shortly expected to enter a meeting room one-on-one, accompanied solely by their translators, before moving into an expanded meeting later in the day. It is unknown how long the private meeting will last, but the White House schedule has given it roughly 45 minutes. 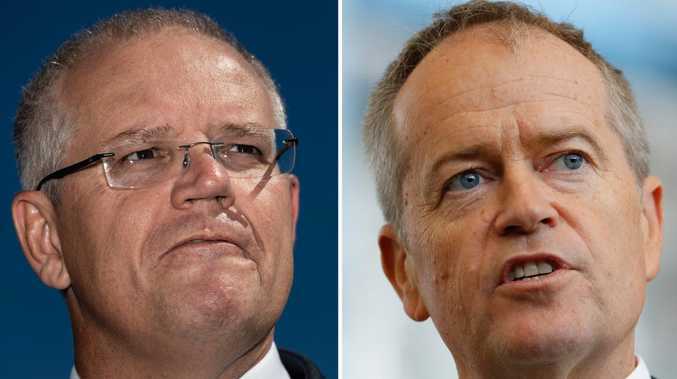 The pair will begin a working lunch at 1.30pm (AEST) before Mr Trump addresses the media later this evening.